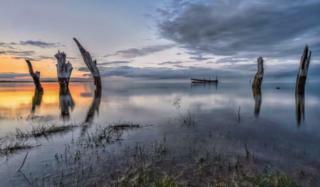 A landscape photographer has told how he was drawn to spend more than 10 years capturing a "magical" coastal scene. 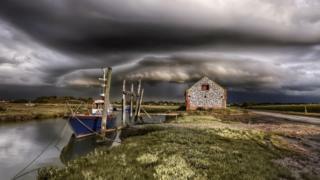 Cleaning contractor Gary Pearson said he had become "obsessed" with Thornham Staithe, in Norfolk. 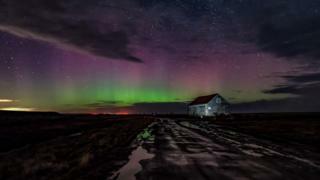 From the Northern Lights to wildlife and old fishing boats, the 51-year-old has gained a following of more than 4,000 on Facebook while photographing its "ever-changing vista". 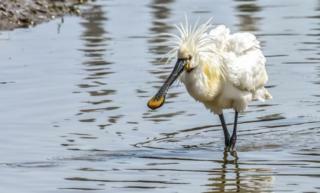 Now he has collated his favourite images captured in the area around the staithe, or quay as it is sometimes known - an area of wild open marshland popular with walkers, photographers and birdwatchers. 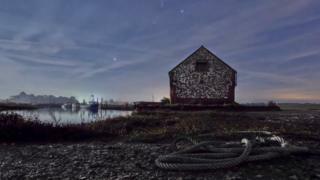 It began when he captured a moonlight scene soon after moving from Boston, in Lincolnshire. "On this particular evening I had my camera with me and seeing the rising moon decided to venture down the lane to see what was there," he said. 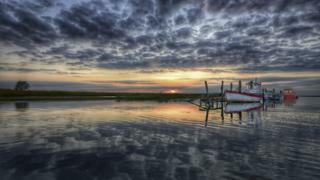 "I questioned myself as to why I was even driving past a sign that said tidal flooding, but the tide fortunately was lapping gently at the side of the road though, with the moonlight reflecting on the water which was magical." 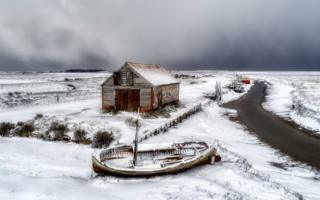 Image caption Thornham Staithe is a "magical, special place"
He then returned to the same spot - in an Area of Outstanding Natural Beauty - the next morning. 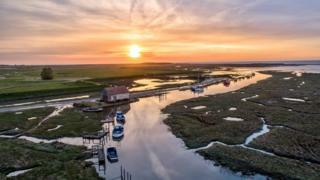 "This time the tide was out and everything looked totally different, beautiful, peaceful, the sound of wading birds calling and a sea breeze rustling the reed beds on the marsh," he said. 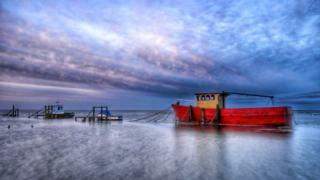 "The more I looked, the more I came to realise what a special, magical, place it is." 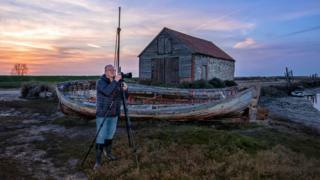 "Thornham ticks every box for me having many focal points - the coal barn, the colourful boats, the unusual old wooden posts sticking out of the marsh at the end of the road and a plethora of wildlife," he said. "But you can't help but think they'll be always be something better, which is why I keep going back. I've become obsessed." A major highlight was capturing the Northern Lights in 2016. 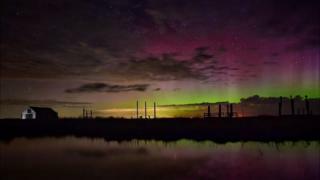 "It was one of those moments you wanted to jump up and down - I've never seen it anywhere near as good along the Norfolk coast since," he said.